The sky yesterday morning was very beautiful but when the day starts like this you know it can only get worse! And it did! Strong winds and rain showers! It was certainly not the day to go photographing birds so I went into the archives for photos that I had not previously posted. Masked Lapwing are always somewhere around but I seldom photograph them. This group was in my yard the other day and looked as if they were having a meeting. Even though they are quite beautiful birds they are not favorites of mine! When they have young ones - or are just thinking about having young - they are very aggressive! With that spur on their wings they are a fearsome sight if they decide to dive bomb anyone walking too close to them! Hello Mick, the dramatic sky shots are awesome. And I love the lapwings, it is sad they are aggressive. They are cool yard birds. Great post and images. Have a happy day and week ahead! such cool birds - and very intense skies! Incredible, dramatic skies, Mick!! Awesome colors! Interesting birds, I've never seen one before and from what you've told us, I'm not certain that I want to!! Hope you have a great new week!! Beautifully eerie skies... Definitely looks like a storm gathering. We've learned to recognize those clouds here in Florida, where afternoon thundershowers this time of year are fairly common. 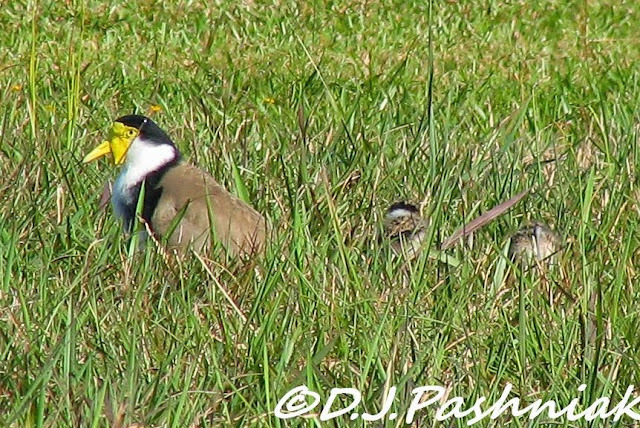 Great shots of the Lapwing's I like the little ones hiding in the grass. Gorgeous skies ~ and love those interesting birds ~ All great shots! Very pretty birds. That rainy sky could be from around here this May! Awesome shots Mick, I guess all birds can be pretty aggressive at breeding time, they are cute though. Those skies are so gorgeously dramatic! Such gorgeous skies! 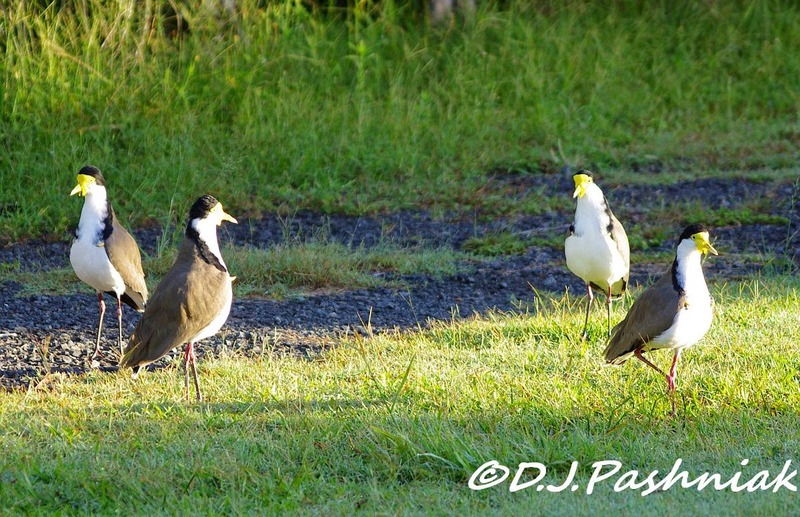 Those masked lapwings are so cool! A stunning start to the day Mick & you were fortunate to be up early enough to capture it. Do have the same saying as us "Red sky in the morning, shepherds warning"? I'd be happy to photograph those lapwings - a good looking species of a family which are very protective of their young. By the way, our visit to the Menorca hotel was our eleventh in twelve years! It's a hotel where the staff remain the same and like going to our second home in fact. The lapwings avoid my yard for some reason. Too rocky just below the grass I think. 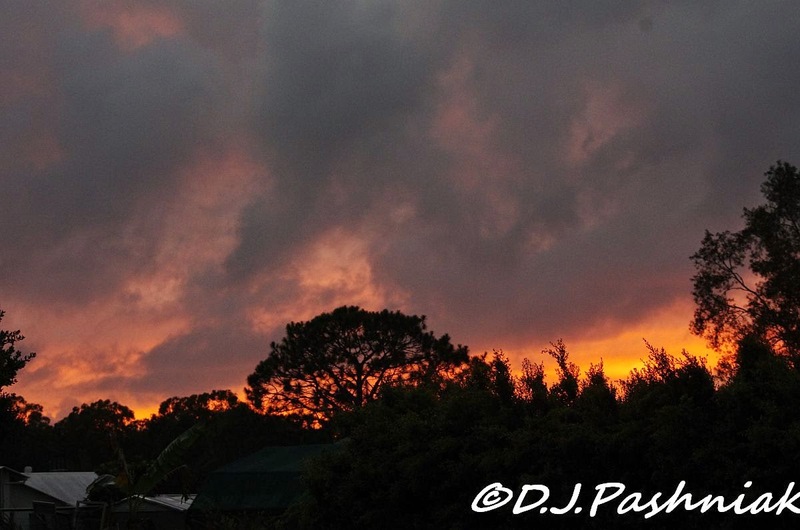 Stormy skies have a beauty all their own, but they do get in the way of outdoor activities! Those birds do look like they are having a meeting - too funny! 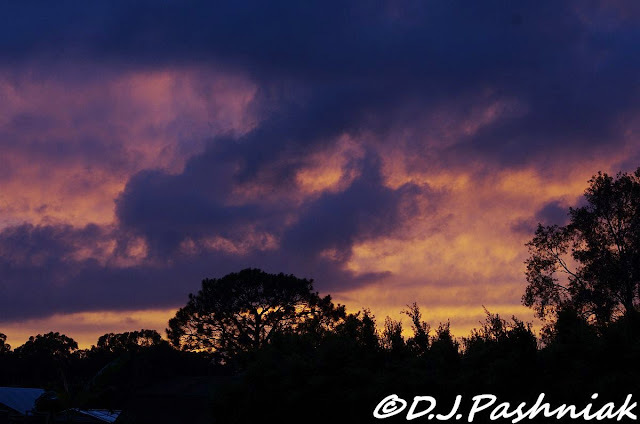 Wonderful sky shots. Those birds can be very aggressive when on the nest! I know from experience!! Beautiful stormy skies... interesting birds, like none I've ever seen before. Great captures of those threatening skies. The Lapwings are beautiful birds. Beautiful sunrise! Sweet little lapwing young! Gorgeous skies! Enjoy your day. Great skies - and I love you description of the Lapwings - which we call 'Birds of Stress' as this seems to be their semi-permanent state! Those skies are good for - photographing the sky! And your images are terrific! That Lapwing is a new species for me and after reading about them, I wouldn't want to be near their nest! Still, a great looking bird! Hope your skies are a bit more clear this week, Mick! All the best.